Home > Printable Coupons > New Printable Coupons | Barbara’s, Dole, Pantene, Vicks & More! 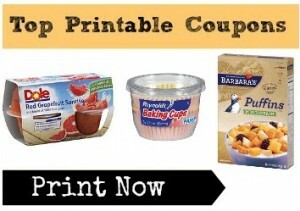 New Printable Coupons | Barbara’s, Dole, Pantene, Vicks & More! I love all the new printable coupons on Mondays! Check out the great savings below and print what you think you can use!